A rare, authentic and auspicious prayer festival experience in the colorful, ancient Tibetan Buddhist tradition. 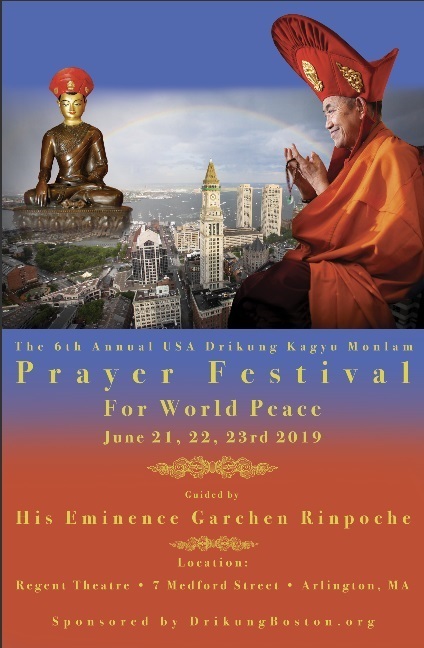 The great aspiration of the Prayer Festival, or Monlam, is to inspire actions that are conducive for all to live in harmony; and to overcome inner obstacles to peace. Prayers are made for the long lives and continued activities of the holy inspiring figures from all traditions, for all who are doing deeds inspired by love and compassion, and for the continued survival of blessing and wisdom traditions throughout the world.